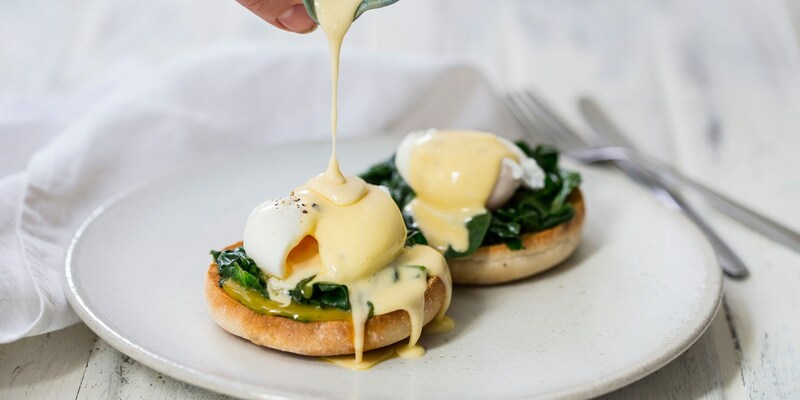 They say it’s the most important meal of the day, so start the day right with these delicious breakfast recipes to get set up for a busy day ahead. This collection of recipes offers some great breakfast inspiration for both bites on the go and simple dishes that are quick to prepare at home. For a traditional cereal start, whip up some of Andy McLeish’s delicious crunchy fruit granola, or Marcello Tully’s pinhead oat porridge for an instant energy boost. Yoghurt is a fantastic protein-filled way to start the day. Anne Faber mixes it with crunchy granola and tart compote in her Rhubarb vanilla pot recipe, while Marcus Wareing uses Greek yoghurt to add extra creaminess to his Maple banana porridge recipe.